Increasingly, the design world and children’s artefacts are crossing paths. The result are impeccably-designed objects which leave parents and design lovers wondering whether they are for children to play with or for adults to enjoy. Of course there is no right answer but the price tag would be the determiner in this household where one of my boys routinely breaks things. 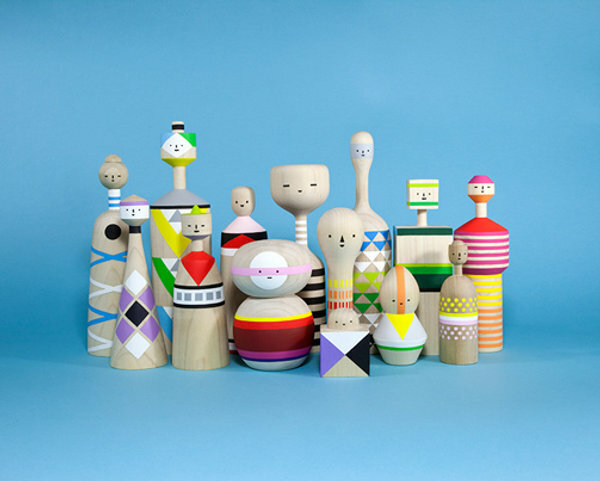 If I had these beautiful Kokeshi Dolls from Pen Pencil Stencil they would be placed on a high shelf. Made from scrap wood, they are turned until smooth and shapely, then painted in magnificent colours using geometric patterning. 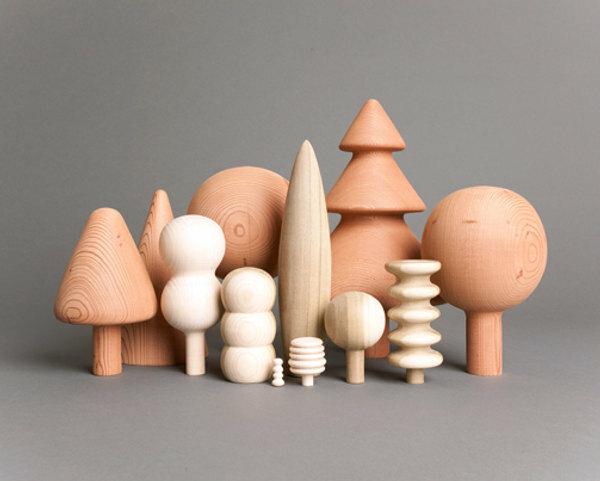 On second thoughts, I think I would give the kids the beautiful, plainer forest to play with. Pieces are made in strictly limited edition batches of only about five, available from Pen Pencil Stencil. They sell out super-quick so check in for new editions.